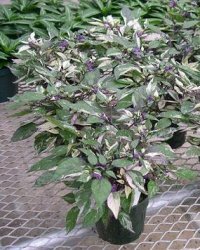 Pepper ornamental chilli Calico has compact rounded plants, uniform in size and habit with variegated tricolour foliage of purple, green and cream. An eye catching foliage plant for containers and bedding, purple fruits turn red when they mature. 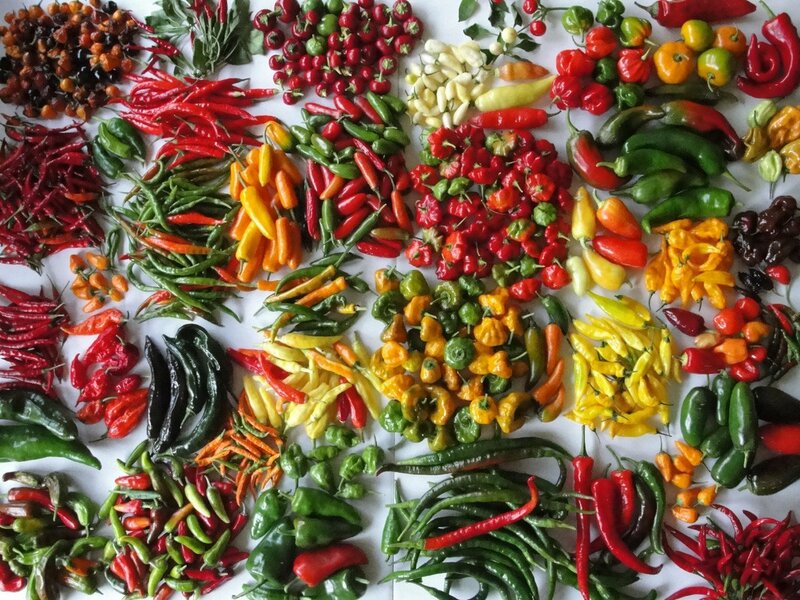 Caution Very hot pepper.